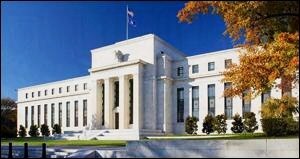 We have only two quibbles with this editorial: the tenor is not strong enough and its assertion that “It’s entirely possible that the system is more fragile than the Fed’s stress tests indicate” is false. It’s absolutely certain that the system is more fragile. Here’s how we know. Two years after the Dodd-Frank financial reform legislation was signed into law on July 21, 2010, the largest U.S. bank, JPMorgan Chase, was caught using billions of dollars of depositors’ life savings to gamble in exotic derivatives in London. If reporters at the Wall Street Journal and Bloomberg News had not gotten wind of the massive market-moving trades by the so-called “London Whale,” which grabbed the attention of regulators, who knows how deep the losses might have been. As it was, the bank was forced to concede at least $6.2 billion in losses. According to the assessment of Senator Carl Levin, who chaired the Senate’s Permanent Subcommittee on Investigations at the time and issued a 307-page extensive report on the matter, JPMorgan “piled on risk, hid losses, disregarded risk limits, manipulated risk models, dodged oversight, and misinformed the public.” And that was two years after the passage of the Dodd-Frank financial reform legislation which Republicans in Congress now want to water down further. According to London Whale documents released by the Senate’s Permanent Subcommittee on Investigations, as of the close of business on January 16, 2012, JPMorgan’s Chief Investment Office, which had overseen the gambles in London, held $458 billion notional (face amount) in domestic and foreign credit default swap indices. Of that amount, $115 billion was in an index of corporations with junk bond ratings, which the bank was not allowed to own. To get around that, according to the Office of the Comptroller of the Currency (OCC), JPMorgan “transferred the market risk of these positions into a subsidiary of an Edge Act corporation, which took most of the losses.” An Edge Act corporation refers to the ability of a bank to obtain a special charter from the Federal Reserve. By establishing an Edge Act corporation, U.S. banks are able to engage in investments not available under standard banking laws. In 2013, the OCC released its cease and desist consent orders against JPMorgan Chase. Alarmingly, the OCC found that the largest bank in the U.S. had “engaged in unsafe or unsound banking practices” and had “deficiencies in its internal controls.” Again, this conduct occurred after the so-called financial reform legislation was in place. In order to rid the public of the threat that derivatives would once again lead to a massive taxpayer bailout of financial firms as occurred in 2008, the Dodd-Frank legislation promised that derivatives would be “pushed out” of the FDIC-insured commercial bank. What happened instead was that in December 2014, Citigroup used its muscle to repeal that provision of the Dodd-Frank legislation by having an amendment tacked on to the must-pass spending legislation that would keep the country running. According to data in the December 31, 2016 report on trading and derivatives from the OCC, the concentration of risk from derivatives and the sheer quantity of derivatives dwarfs the situation during the crash of 2008. The OCC writes that “A small group of large financial institutions continues to dominate derivative activity in the U.S. commercial banking system. During the fourth quarter of 2016, four large commercial banks represented 89.3 percent of the total banking industry notional amounts…” Those four banks are JPMorgan Chase with notional derivatives of $47.5 trillion; Citibank N.A. (the banking unit of Citigroup which received the largest taxpayer bailout in U.S. history in 2008) with notional derivatives of $43.9 trillion; Goldman Sachs Bank USA at $34.9 trillion; and Bank of America with $21.1 trillion. In March of 2016, a research report from the Office of Financial Research (OFR), a unit of the U.S. Treasury created under the Dodd-Frank financial reform legislation, came to more alarming conclusions. If the New York Times wants to genuinely sound the alarm bells before the next implosion on Wall Street creates another economic crisis in the U.S. and its own home town, it needs to take a more strident tone using the mountain of evidence that readily exists showing that Wall Street has been anything but reformed.